Have you noticed the changes around you outside lately? The leaves are changing colours, the evenings are cooler, and the days are getting shorter. You may have noticed that the air smells different and the sunlight looks more golden. Fall is here! And this is one of the BEST seasons to get outside and explore Ontario’s parks and trails. Autumn has always been my favourite season, especially for hiking and getting outdoors. Last year, we discovered that the season is also wonderful for camping. We spent five days at Algonquin Provincial Park and loved it so much, we’ve decided to make a fall camping trip an annual event. We are so fortunate here in Ontario to have over 300 provincial parks, six national parks and more conservation authority parks than I can count. No matter where you live in this province, there is a park close to you to get outside, hit the trail and enjoy Canada’s most beautiful season. What makes Fall so special for exploring Ontario’s parks? – There are NO biting bugs. – The weather is generally cooler and more comfortable for outdoor activity. – The colour changes in the forest are remarkable, providing some of the best views of the year. You can go to any park in this province and experience an amazing autumn outdoors. But you need to keep in mind that the colour changes don’t happen at the same time. Ontario’s geographic diversity means that parks in Southern Ontario are on a different schedule from parks found North of Barrie. 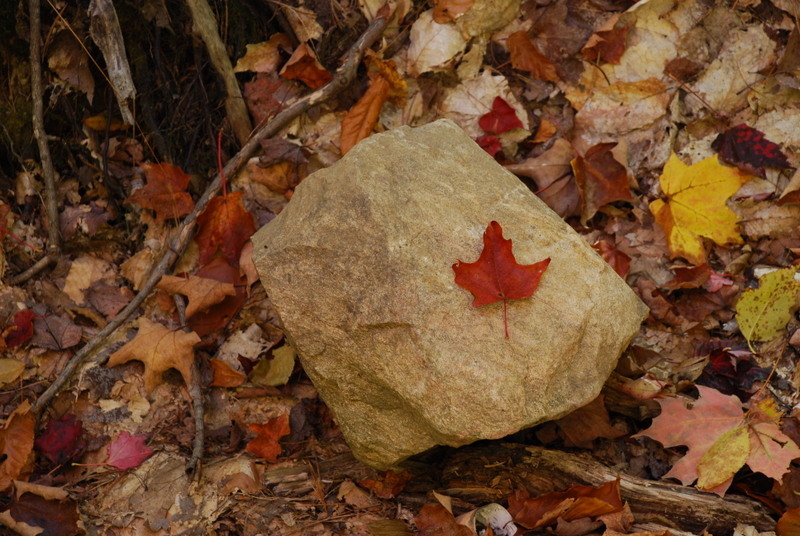 If enjoying the reds, oranges and golds of the leaf change is what you are seeking when you hit the trails this fall, one of the best ways to discover how far along the colour change is in our provincial parks is to check out the Fall Colour Report on the Ontario Parks website. The colour report is excellent. Organized by Park, it reports what percentage of the leaves have changed colour, how many have dropped from the trees and the best time of year to view the changes. The key to having the best possible experience is getting to a park just before or during “peak” leaf change. Once the tree canopy reaches peak, your opportunity to enjoy the fall colours could last for a few more weeks or just a few more days. All it takes is one big storm to bring all of those beautiful leaves to the ground. 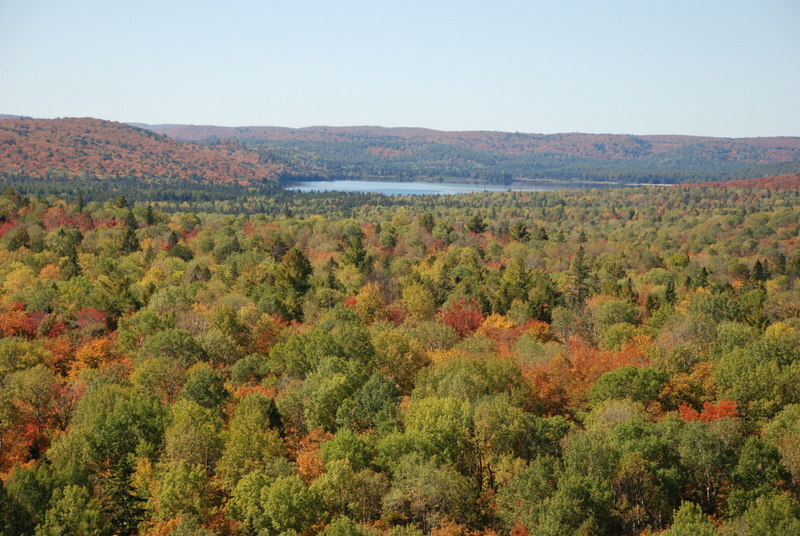 While Algonquin may be considered the top park for “leaf peeping”, any park that features mostly deciduous forests (the kind of trees with leaves, not needles) will give you a show you won’t forget. In fact, within an hour or less of Toronto are the Forks of the Credit Provincial Park, Mono Cliffs Provincial Park and the Halton Conservation Area Parks. 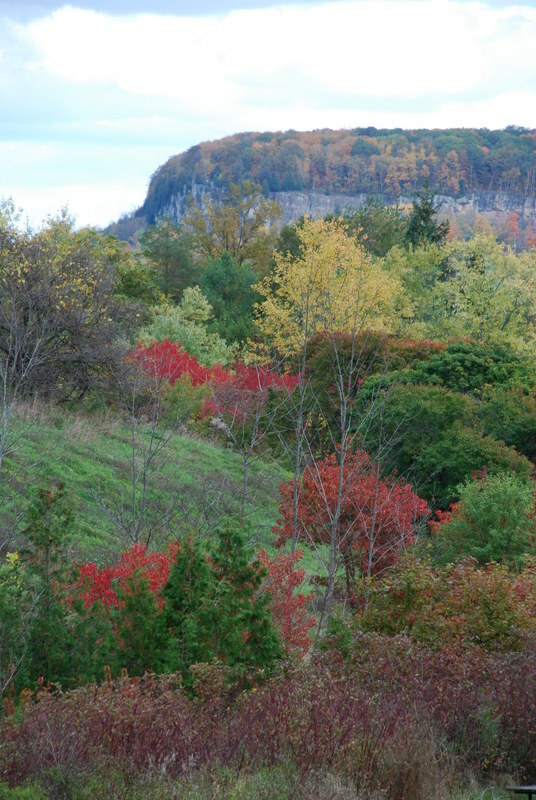 These day-use parks are favourites of mine and offer amazing hikes, limestone cliffs and lookouts that make you feel as though you are much further north than the short drive outside of the GTA. 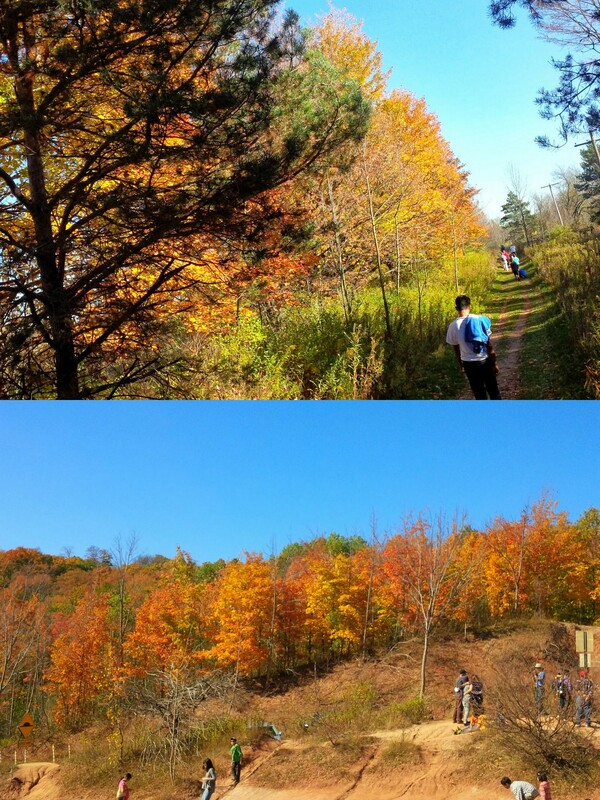 Autumn in Ontario is made for getting outside and exploring, and with just a little research you’ll find a spread of colour to enjoy from the trail floor up to the sky. Remember to wear layers and a good pair of shoes (those leaves can be slippery!) and take lots of pictures. 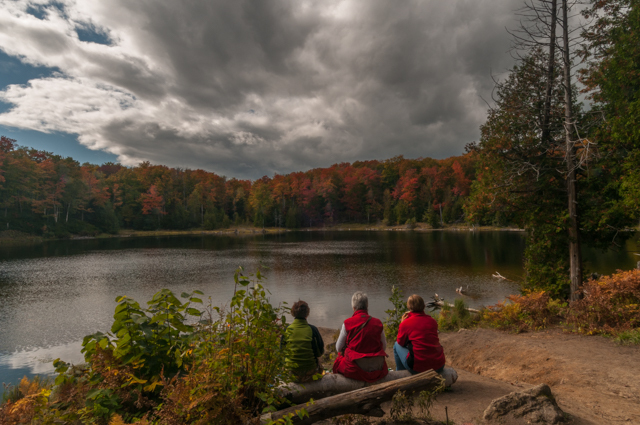 And when you return from your hike come back here and let us know which park is your favourite place to enjoy an Ontario fall day! By Gayle Labuz, Sometimes Eventful!